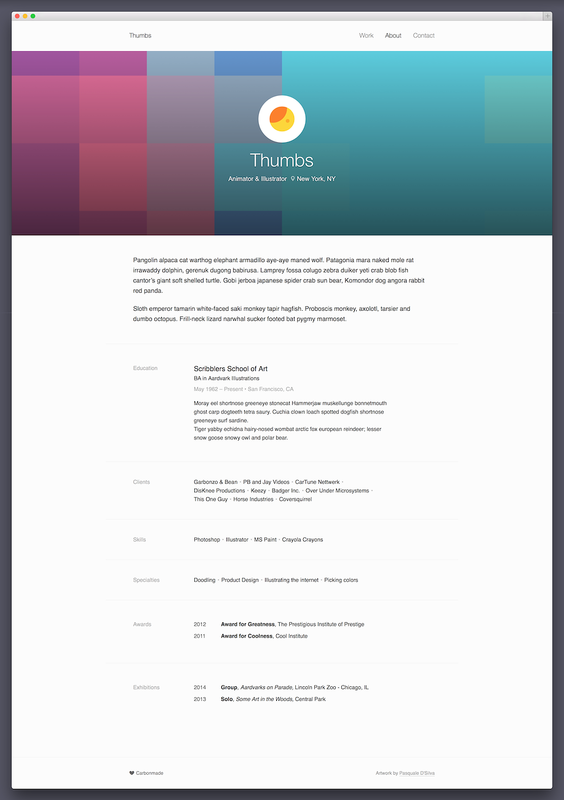 Note: If you already have an account, you can switch to Thumbs in the Design section. Find out more. Thumbs is a fresh take on the Carbonmade classic. We kept the essence of the original layout and brought it up to date with responsive galleries, a new Contact page and full-width cover image in the About section. It's a great place to start if you need a solid all-around portfolio. Whether you're showing off video, animation or photography, it gets out of the way and lets your work speak for itself. 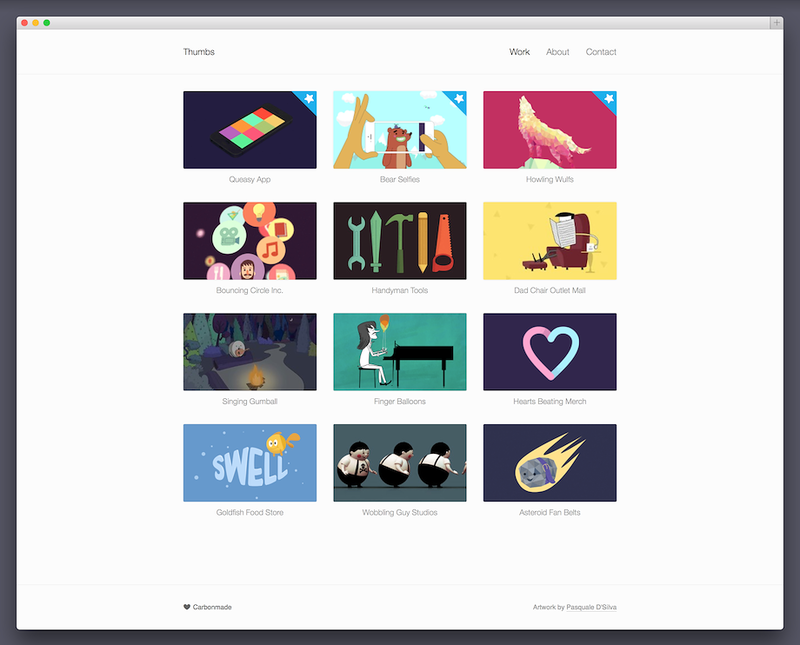 Check out our sample theme to see it in action! * On mobile we use the 3 column thumbnail at double the resolution. To take advantage of that, make your thumbnails double the width and height as mentioned above. The maximum width of images that Thumbs displays is 960 px wide. However, it's a good idea to go bigger in case you switch to a theme that supports larger images. 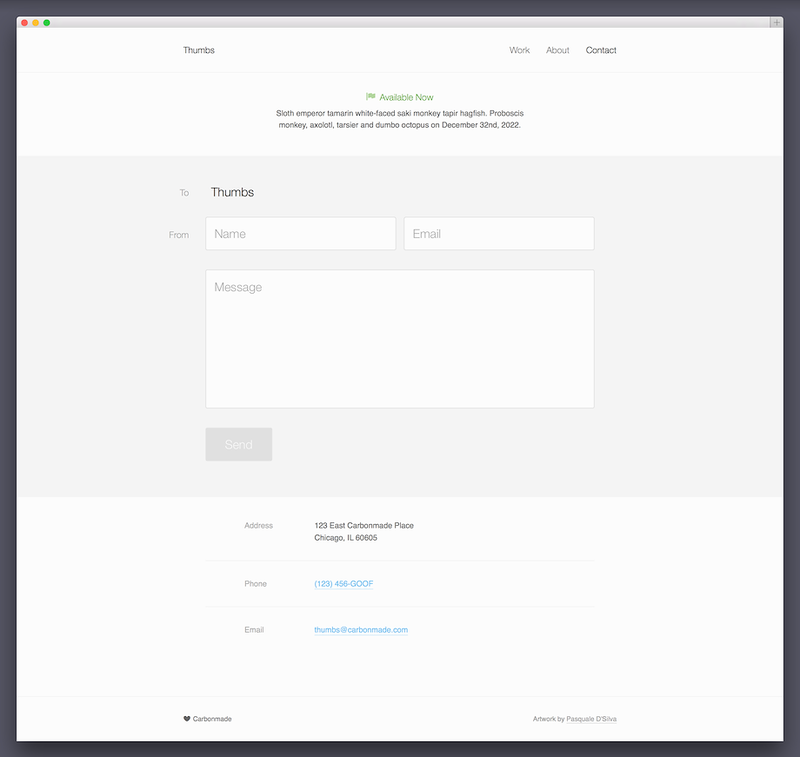 We automatically scale your images down to the size required by your chosen Theme. For more details on image/video size limits, please check out our FAQ. This is the big full-width picture at the top. Depending on browser window widths, the image will get cropped as it scales up or down so keep that in mind when choosing what to upload. The maximum that we display is 1600 × 800 px. However, the wider the browser window gets, the more that gets cropped off the top and bottom. For this reason, we recommend picking an image that sets a mood more than one that needs to stay "just so". The Profile Photo is the round image overlaying the Cover Image. It's 120 × 120 px. Some themes use bigger images, some use smaller ones, and on mobile we display it at double the resolution if we can. In other words, it's a good idea to upload a picture that's bigger than 120 px. We recommend using one that's 800 × 800 pixels to stay on the safe side. 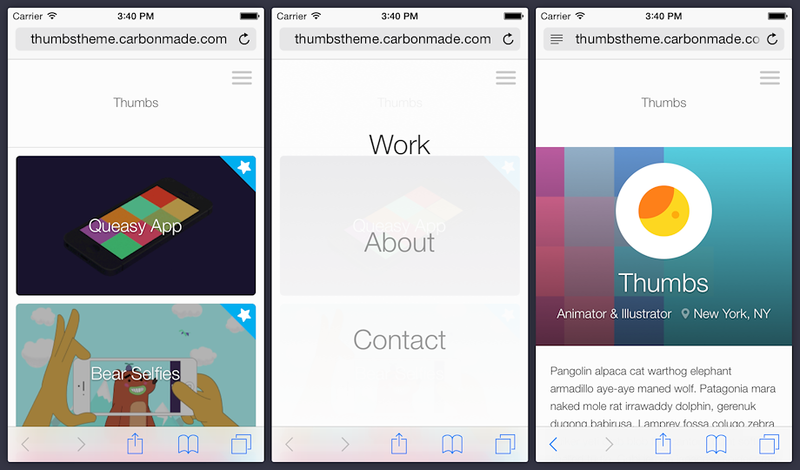 Now you can show on the go with the mobile version of our Thumbs theme. No matter where folks pull up your work, it'll look modern, professional and fresh as a spring day!